This week’s Travel Theme is perfect for me, as it’s sometimes difficult to take photos without mountains in them, around these parts! 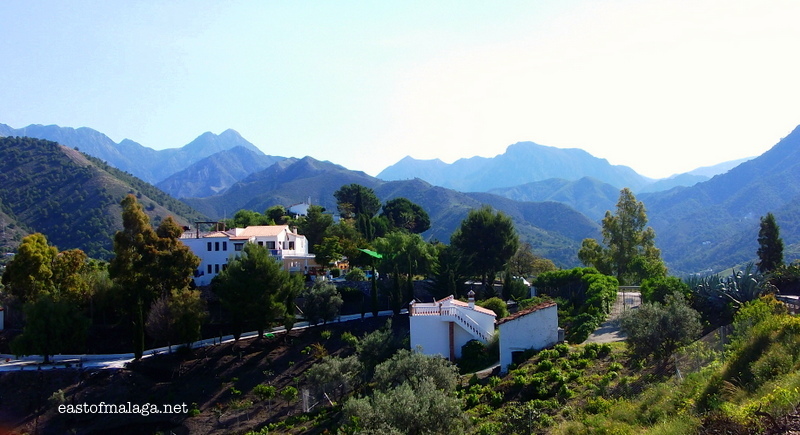 Here is a view towards the rugged Sierras of Tejeda and Almijara Natural Park which stretches across the provincial border between Granada and Málaga. The highest peak in the Sierra Tejeda is La Maroma, a big, flat-topped mountain, which at 2.069 metres, features in many of my local photos. This entry was tagged Andalucía, East of Malaga, Europe, Malaga, mountains, photography, travel, Travel theme. Bookmark the permalink. I always think of myself as an ocean person, but those mountains call to me too. What a beautiful part of the world you’ve chosen as home! Beautiful scenery! Love the composition of the photo. Yes, it really is a lovely area, Amy. Ah, this isn’t the view from my house. It was taken about one kilometre from home, on my way into my nearest village of Cómpeta. I’m spoiled for choice, if the truth be known, Gilly. It is so beautiful around these parts. Thanks for your always supportive comments. Nice! You make me a little more envious with every photo! There is so much beauty around here, though it’s the same throughout the world, too. great photo marianne, such depth of field, the colours are spectacular! It was the depth of field that really made me take notice of this particular mountain range. Considering where you live, Marianne, this challenge was tailor-made for you. Just look at that photo! Beautiful! Stunning scenery. What a wonderful backdrop for any photo! It’s very kind of you to say so, Angeline. How picturesque! You live in such a beautiful part of the world! & Thank you so much for sharing our post!